How often can you honestly say that you have just enjoyed speaking with a lawyer? 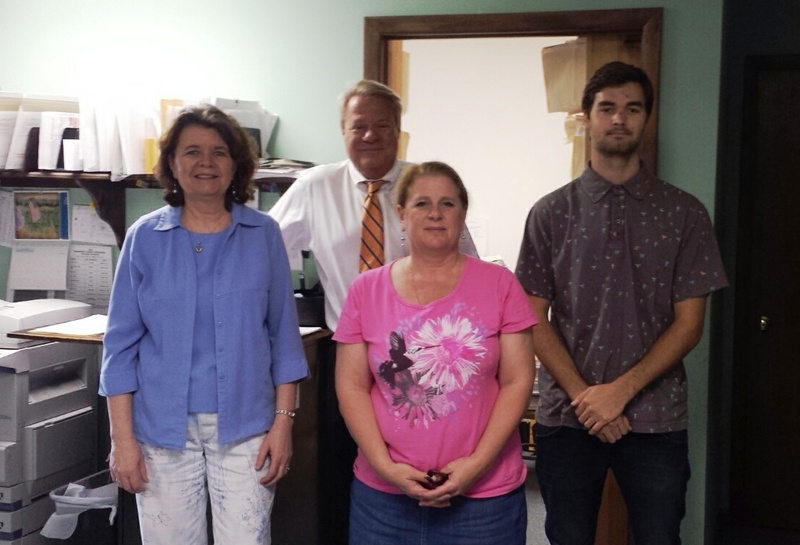 Well, I have just come from the office of local real estate lawyer, Ned Barnes, and I thoroughly enjoyed my visit! Ned Barnes and his law firm has been a Business Member of Federal Point History Center for several years and it is due time to recognize him and his office for their support. What really makes the monthly task of writing this article for the History Center a labor of love is meeting someone with so much love and enthusiasm for this island. From one end of the Island to the other, Ned Barnes spoke with glowing words about our home, Federal Point, NC. He renewed my “Pride of Home” just listening to him. Ned worked for a Charlotte, NC firm early in his career. He was sent here in 1984 to work with projects that became Ocean Dunes, Otter Creek and many more. He fell in love with the community and the people who live here. When the Charlotte firm dissolved, Ned stayed here with his wife whom he met at Fort Macon, NC. Thirty years later, Ned and his family are true Islanders from heart to toes. Ned’s son Mitchell Barnes is set to graduate soon and continue the business. Daughter Drew Barnes works hard in New York City as a Social Worker. When things die down around here, as they do in winter months, Ned and his family will be hiking trails like the Carolina Beach State Park trail to Sugar Loaf Dune. If you expect to speak with Ned during his lunch hour, you will have to speak up for Ned walks three miles on the beach every day at lunch. If it is after hours, look for him enjoying the sunset from home. 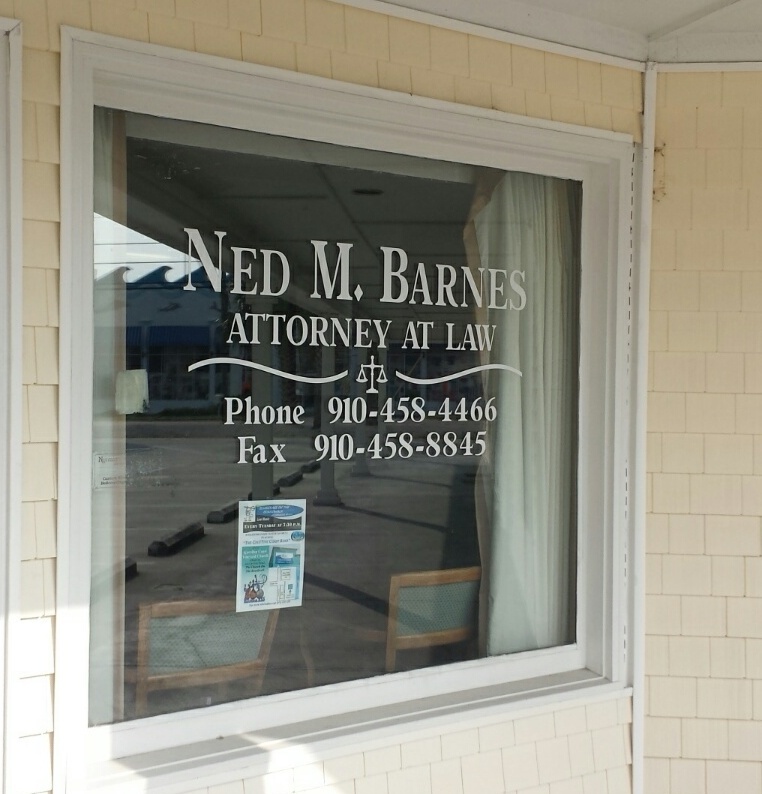 Whether you need advice about property or, just need to speak with a lawyer who is local that you can depend on, call Ned Barnes. Anyone who loves our Island as much as he does is someone you will benefit from simply by knowing. Thank you Ned Barnes, for your years of continued support for the Federal Point History Center! We are very proud to have you and your staff as our Business Member of the month!